I don’t get the kind of criticism I’m used to. It’s like all of a sudden I’m a Washington insider, which I would never describe myself as, but Trump has made so many of us seem very DC professional. I would love to see a woman president, but much like many other millennials, I’m not panicked about it. I believe there will be a woman president within my lifetime. I don’t understand why it has to be this specific woman, because I think she’s evil. We talked about how her career would have been different if her dad won in ’08 [19:10], her anxiety about next week’s GOP convention [12:57], her show on Pivot TV (“nobody watched it but it was still fun and good to do”) [24:30], the stigma associated with her voice in the media (“There’s something about a strong conservative woman in the media that is just a narrative so many liberals have a problem with”) [39:05], and her advice for young conservatives trying to break into media (“do not change the things that make you unique”) [40:10]. For the last 10 years of my life I have been going around to colleges, writing books, doing TV shows, trying to reach out to a different audience and different demographic to take a second look at the Republican party, and this has been like taking dynamite and blowing it up. I can’t go around to colleges and tell young people, Latino people, gay people that this is an inclusive party for you. That’s a lie. If this is the Trump party, that’s a lie. 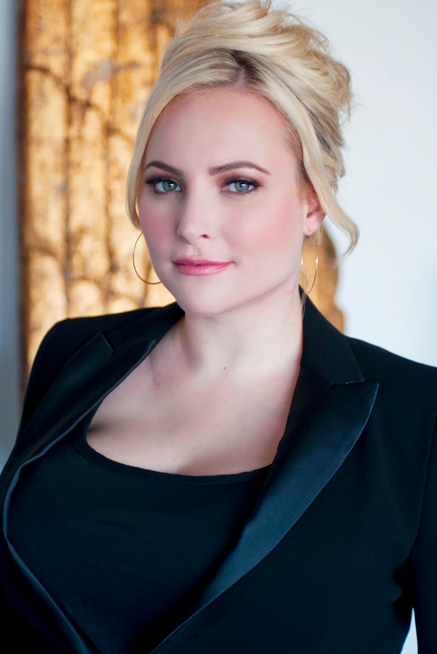 Thanks to Meghan McCain for her time — please listen and give any feedback (good or bad) as we continue to shape the podcast! Next week: Don Lemon of CNN. @KrakauerMedia / EIC @AutonomousMag / Past- Sr Digital Producer: CNN. VP, Digital Content: TheBlaze. Editor: Mediaite, TVNewser. NBC Page. Syracuse. A new look at American culture today, and where we’re headed — specifically, where culture intersects with politics, media, technology, morality and political correctness.